Poly Play asked me to mention this here, as feedback from people in this forum was instrumental to review the shipping options. It is also possible to pay by credit card, so Sebastian is working hard to improve the experience further. I know people here already bought the games (thanks, you rule! ), but I find is great when customers' feedback is considered and changes happen! I think the games are great. If I was to suddenly start collecting boxed games of tapes and disks again I'd have ordered those for sure. I'm just happier with the DSK files on emulator and the CDT's if I want to run them on my real 464 the few times I have it set up these days. But yeah the artwork is lovely too. Hadn't see that topic before but, yeah, i noted it in the doomsday echoes topic. I think this is really important. 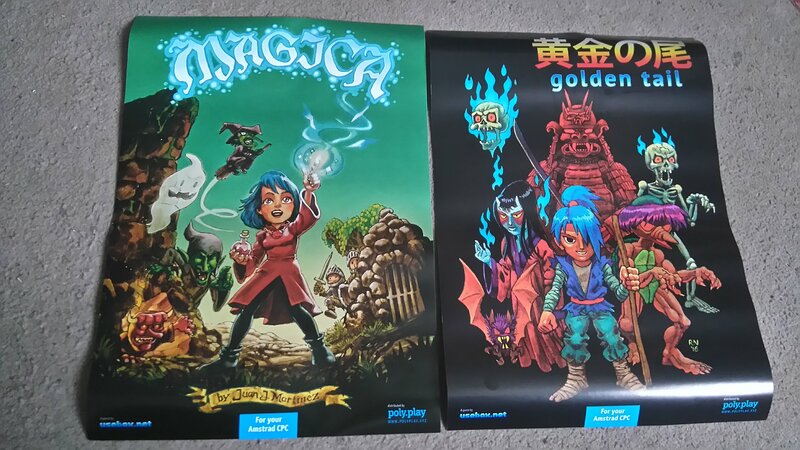 The posters arrived and they are lovely. My photo doesn't do them justice cos I'm a lousy photographing dude. Page created in 0.219 seconds with 48 queries.